With global sales of 148 billion euros the fine jewellery industry thrives on consumer trust in products about which the average customer knows very little. Fine jewellery purchases are high value items with strong emotional appeal, illustrated by De Beers’ iconic slogan ‘A Diamond is Forever. While having historically and very successfully linked their marketing messages to beauty, love and romance, the trust invested in the industry is now being challenged by a number of stakeholders – NGOs, government, trade associations, industry insiders and consumers – calling for more responsible marketing practices to address the harms and negative aspects of the business. For example, although it is culturally embedded that a diamond represents love, the realities of the industry have been exposed as including conflict diamonds, human rights abuses, child and forced labour, extreme poverty, a lack of transparency and traceability in the supply chain, money laundering and smuggling of rough diamonds from illegal mining operations. 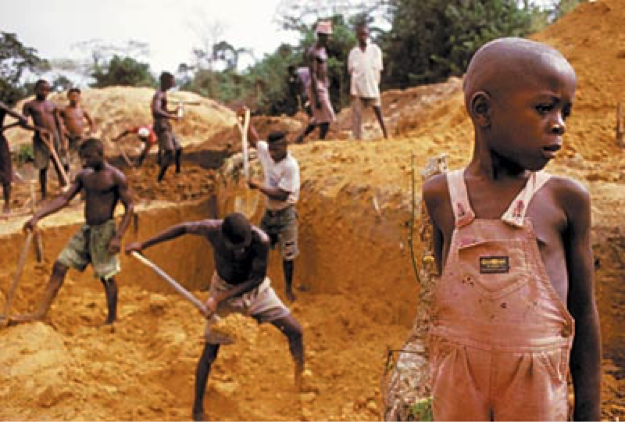 The Kimberley Process, a certification scheme established in 2003 by the United Nations to tackle these harms has been accused of failing to address the issue of ‘blood diamonds’, since it mainly focuses on the mining and distribution of conflict diamonds, and does not address broader issues of health and safety, child labour and fair pay, and the eviction of communities from their ancestral homes around mine sites. Gold can also be problematic; a symbol of power and wealth, as much as love, 90% of the labour force involved in gold extraction are artisanal and small scale miners, who rarely receive a fair price for their product. Poor and vulnerable populations in Africa, Asia and Latin America work in artisanal mines, where working conditions are hazardous. Risks and harms include the unskilled handling of toxic chemicals such as mercury and cyanide which pose threats to miners, the communities and the natural environment. Artisanal mining is just one part of a long, complex and fragmented supply chain from mine to market; transparency and traceability are notoriously difficult to achieve, and this has made it almost impossible for buyers to be clear about where and under what conditions the gold in their jewellery was mined. However, increased media criticism, vociferous lobbying, and punitive regulation (e.g United States 2010 Dodd Frank Act regarding conflict minerals; the European Commission Conflict Minerals 2014 draft legislation) are making the industry reflect on its behaviour. Equally important are the actions of individuals within the industry committed to more responsible jewellery marketing. With training and support, it is possible to produce jewellery that meets appropriate standards on working conditions, child labour, women’s rights, cleaner production technology, health and safety, and responsible environmental management. Fairtrade and Fairmined Certified gold have helped many artisanal miners escape from harsh and dangerous working conditions. They offer an initiative that allows miners to gain market access directly rather than through exploitive middle men, and receive a Fairtrade Minimum Price and Premium which is used to develop their businesses and invest into community social development (see www.fairtrade.org.uk/gold). 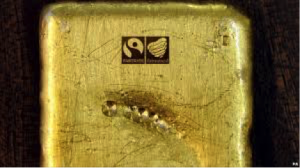 In 2014 a number of manufacturers in the UK such as Hockley Mint and Brown & Newith pledged their commitment to Fairtrade wedding bands as part of a Fairtrade International Campaign aimed at bringing Fairtrade jewellery into mainstream retail marketing to ensure consumers can buy clean gold from a certified supply chain. 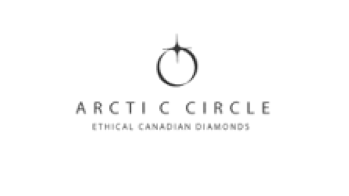 Further industry pressure has come from trade organisations such as the Responsible Jewellery Council (a member of the ISEAL Alliance)who require members to be independently audited against the RJC Code of Practices – an international standard on responsible business practices for diamonds, gold and platinum group metals (see http://www.responsiblejewellery.com/). The Code of Practices addresses human rights, labour rights, environmental impact, mining practices, product disclosure and other practices within the jewellery supply chain. 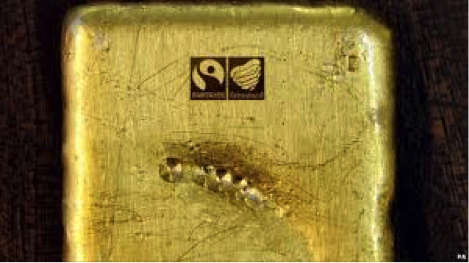 Other positive industry initiatives include the launch of ecological gold, which is mined responsibly, mindful of social and environmental impacts, by recovering gold through gravity methods without using cyanide or mercury. 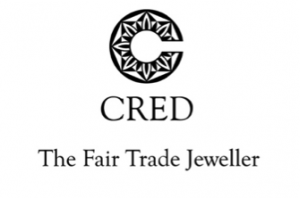 The past failure of top jewellery brands to meet the growing expectations of customers for ethical sourcing of metals and gemstones has provided opportunities for ethical jewellery production by smaller companies such as Arctic Circle, Fifi Bijoux, CRED jewellery, Ingle and Rhode and Vipa Designs who use social and environmental issues as creative inspiration. 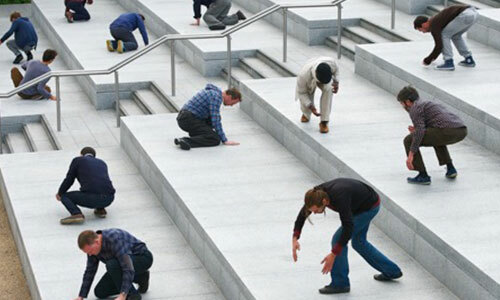 As an industry that has been traditionally veiled in secrecy, partly due to the product security required, but also because of the intrinsic cultural practices that prevail, these are groundbreaking initiatives. Like many industries (e.g. banking, tobacco, oil), the jewellery industry has at times considered itself to be above reproach, and beyond external influence, preferring instead to self-govern. However, external and internal stakeholder pressure for more ethical practices, coupled with media exposure on industry stories such as the Kaloti refinery ‘conflict gold’ scandal has rendered this position untenable.